23 Mar 2017 / 18:24 H.
EVERY journey begins with a single step. 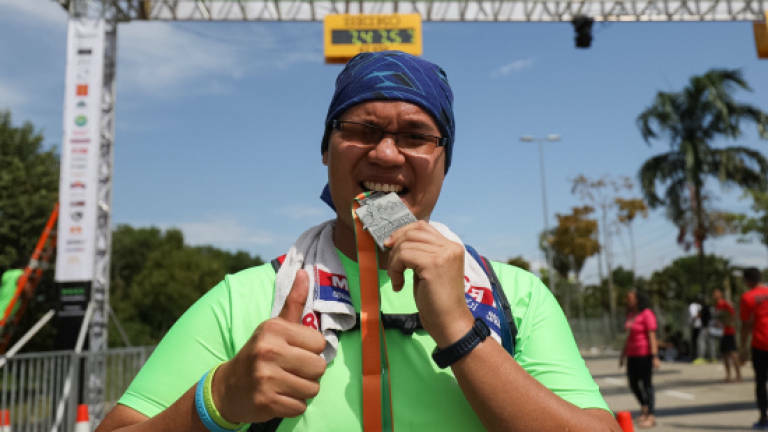 So was my 42.195km journey – my maiden full marathon. I have been running regularly. What started off some five years ago as casual running to keep fit eventually became a passion. Soon enough, this passion led me to signing up for running events with races ranging from 5km to 30km. Last year, I took part in over 30 such events, including fun runs, trail runs and obstacle course races. Ten of these events were half-marathons (21km). I would not say I am the best or fastest runner among the lot – I just run at my own pace, hoping to do my best to complete the runs. Sometime late last year, my friends and running mates, who either joined me in some of these runs or were aware of my activities, challenged me to take my running to the next level – joining a full marathon. 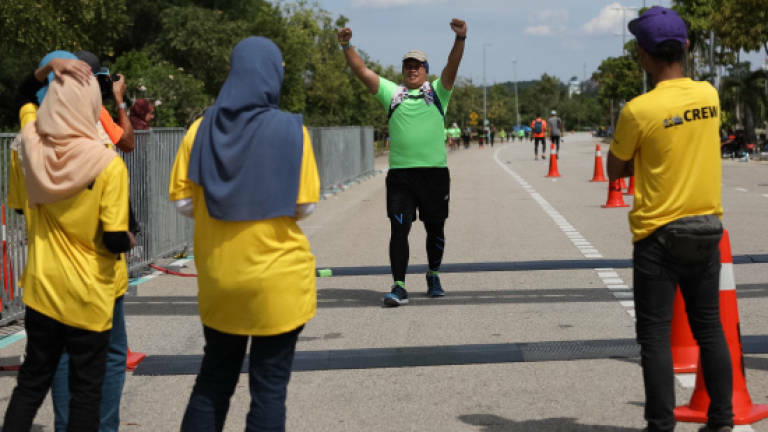 After thinking about it deeply, I picked the full marathon category at the Twincity Marathon 2017, which took place in Cyberjaya on Jan 15. The much-anticipated weekend arrived, and I felt nervous. I had trained by running a few laps every day in the few weeks leading up to the event. My friends and I arrived at the venue about 3am, where there were already hundreds of other runners warming up for the race. Among them were long distance runner Missblurykit and one-armed runner CK Loh. We took some time to warm up, as we, like the other hundreds, looked forward to the flag-off. At 4am, the participants were flagged off, and after wishing my friends the best, we began running at our own pace. Armed with my hydration bag, several packets of power gel and a playlist on my MP3 player, I began jogging along the route. Along the way, I spotted interesting characters such as a group of soldiers running in their uniforms and carrying weighted backpacks. Unfortunately, my left leg started to give me problems after only 8km. Had I tried to push myself and continued running, I would have experienced cramps in the left hamstring and possibly ending my race prematurely. So, I decided to walk slowly to allow my left leg to recover. By the time I reached the 21km mark, the sun has already risen. I put on my cap and sunglasses, and I was able to walk briskly. Under the hot sun, I had to soak my face towel and put it on my head. The last thing I would want to happen was to suffer a heat stroke. At about 9am, I saw the 30km signage. I had 12km more to go, and I persevered. Under the scorching sun, fatigue set in, but my morale was boosted by runners around me. I kept my focus and maintained my pace. 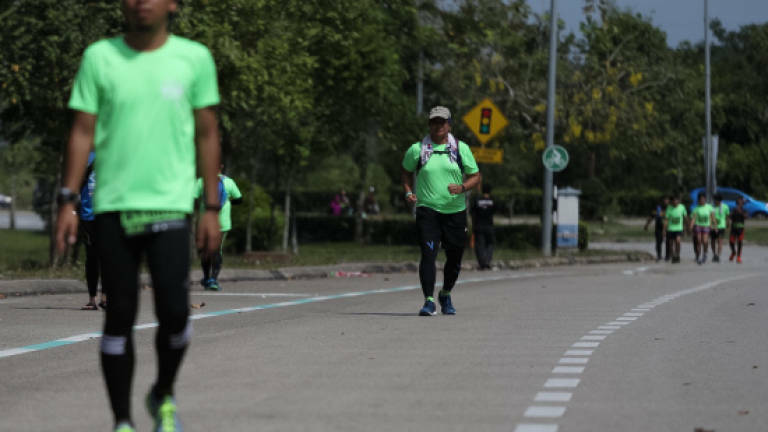 For the race, participants had to run from Cyberjaya to Putrajaya and back. I could feel blisters forming on my left foot, but I stayed focused on finishing the race. Time passed by so slowly and all I wanted was to see the finishing line. The most agonising part of the run was the last 7km, and at every turn of the route, I was hoping that I would see the finishing line ahead. Jeremy, a friend who had completed his half-marathon much earlier, was waiting for me some 300m from the finish line. A few friends who had completed the marathon ahead of me were also waiting there for me. Jeremy handed me a bottle of water and cheered me on. As I crossed the finishing line, I breathed a sigh of relief on knowing that I had finished the race within the specified cut-off time of eight hours. I clocked seven hours and 47 minutes. For some international marathons, this is well beyond the qualifying time of seven hours, but I was glad I had finished the race. Crossing the finishing line was one of the best feelings I have ever had. At the end of the day, as the saying goes, “what matters is not the destination, but the journey itself”. Would I do this again? Maybe. As you run, you sweat. It is best to hydrate yourself with water or isotonic drinks along the way. The organisers would usually provide water stations at intervals of between 3km and 5km. Aside from putting on a dryfit tee, compression top or the running tee in the race-kit, one can choose to wear shorts, or compression pants. The choice is subjective, but it is important for you to feel comfortable in it in the long run, literally. A full marathon can take more than five hours, and the sun will be high up before you complete the race. Bring along a hat and a pair of shades to keep cool. Unless you are naturally gifted, joining any running events without any training is close to committing suicide. Training should include short runs and cardio exercises. You would be surprised how far you can go when you are pushing the limits when you put your mind to completing a task. However, one should know his or her limitations (like physical disabilities or ailments) to avoid injuries associated with over-exertion.